As the old saying goes, the apple doesn’t fall too far from the tree. Hillary Clinton spent her entire career advocating for the slaughter of unborn babies, and it looks like her daughter Chelsea Clinton has followed suit. But Chelsea’s latest comment is so outrageous, it will leave your head spinning. And the worst part is, she’s using the name of God to justify murdering babies. God’s word is clear — He is the author of life. To suggest He would approve of slaughtering innocent babies is to completely misrepresent His character and heart. But during her bizarre interview on Sirius XM, Chelsea went on to talk about the “moral way” she wanted to raise her children – which apparently includes supporting abortion. Chelsea went on to talk about how horrific things were before Roe v. Wade as if abortion clinics are somehow a safe place. As Mommy Underground just recently reported, abortion clinics are far from safe, and they are even deadly. From underage sexual assault victims being pushed aside, to inhumane practices, abortion clinics are not safe. As if it isn’t bad enough to advocate for killing unborn babies, Chelsea went on to claim that because she is a “deeply religious” person, it is her faith that drives her viewpoint! 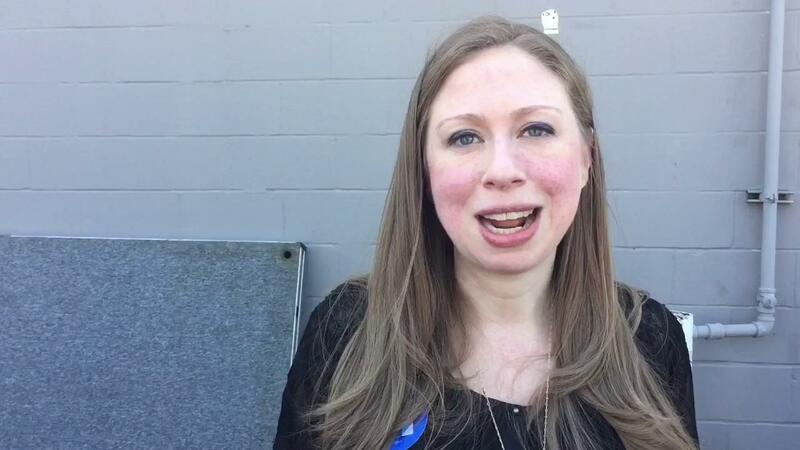 Chelsea Clinton has it all wrong. The fact she can find it acceptable to slaughter unborn babies is horrific, and it’s sad. In addition, she advocates for abortion clinics as if they are “safe”, even though women are dying on the table. But then to go on and try to use faith to justify it… there are no words at how misguided she truly is. Women need to support each other, yes. But women also need to speak up when they see statements like Chelsea Clinton’s latest comment, which lead others astray. Some women may look up to Chelsea and her mother for being involved in politics. And her comments further create confusion in young teens, who may actually take what Chelsea Clinton says seriously.Our women deserve better. What are your thoughts on Chelsea Clinton’s comment that opposing abortion is “unChristian”? Do you think abortion clinics are safe for women?